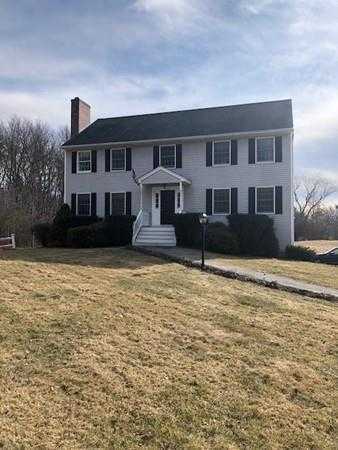 Beautiful colonial located n West Andover on a quintessential country road and the High Plain school district. Welcoming open foyer with, wainscotting and chair rails leads to the Eat-in kitchen with Brazilian cherry wood floor. Formal living room used as an office with wood inlaid flooring. Open living room and dining room great for entertaining. Located upstairs is the Master bedroom with fireplace, Jacuzzi style bath and with walk-in closet and additional good size bedrooms. Partially finished lower level, great for additional teen suite living or game room. Large deck locate off kitchen area looks out to beautiful acre lot. Walking distance to golf driving range and within 1 mile from the Andover Country Club and Andover Country club Swim and Pool Club. Easy and convenient access to all major highways!